Singlethread is the easiest text messaging tool in the automotive industry. 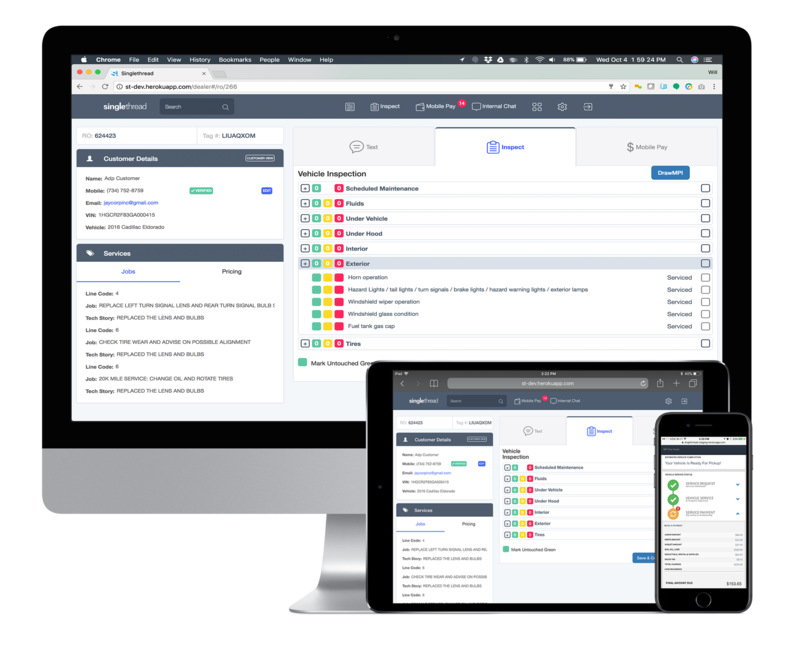 It simplifies communication with customers, shortens the vehicle repair cycle, and helps you sell more to mobile customers. Certified, real-time DMS Integration saves service advisors time by eliminating duplicate data entry. Singlethread gets to work, automatically. Singlethread can automatically text your customers for you. Set and forget, or use a template message to keep your customers updated. Don’t miss a thing. 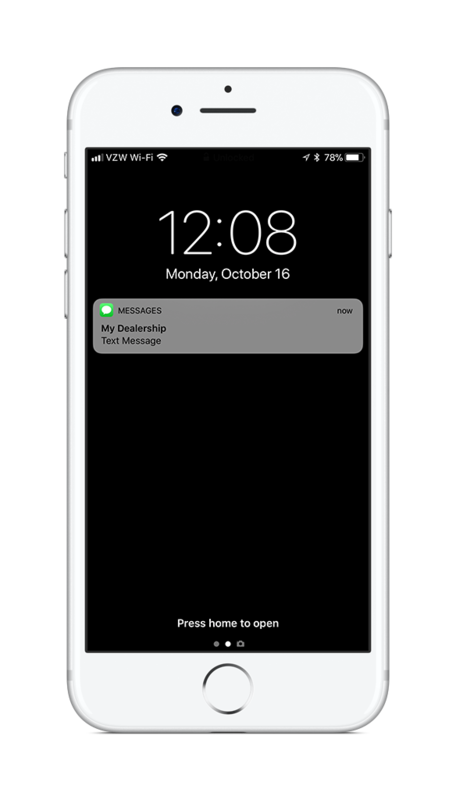 With real-time mobile, desktop, and email notifications, your team will know immediately when a customer text messages the dealership. There's nothing like a picture or video to help a customer understand the extent of the repairs. 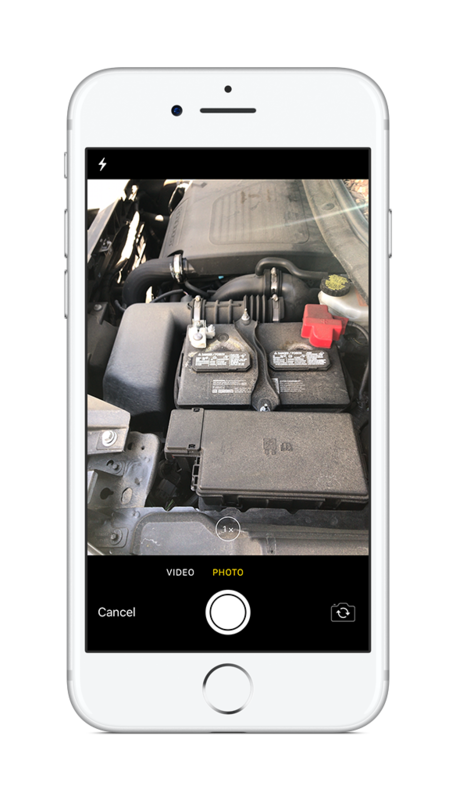 With Singlethread's mobile app, you can effortlessly send pictures and videos of the vehicle to the customer. Singlethread is compatible with nearly any device and has applications available on the Apple App Store and the Google Play Store. Recieve instant notification on your favorite mobile device when a customer text messages you. Give your advisor the flexibility to be where they need to be without using their phone number for customer communication. Singlethread's modules integrate in a seamless design. Start working on your desktop and continue on your mobile. Quickly update a customer with a Text, send an inspection in an instant, and capture payment with Mobile Payment. Get in, get out, get on with your day.